The campaigns for Governor of the State of Mexico officially kicked off just after midnight on Monday morning, with the three leading candidates holding large public meetings. The stakes are clearly highest for the PRI. A loss would probably be a stake in the heart for their hopes of keeping control of the government in 2018, and strip President Peña Nieto of whatever small prestige he still commands. A new Reforma poll shows the three principal contenders for Governor of the State of Mexico to be essentially tied, not including the 26% of those surveyed who are undecided. 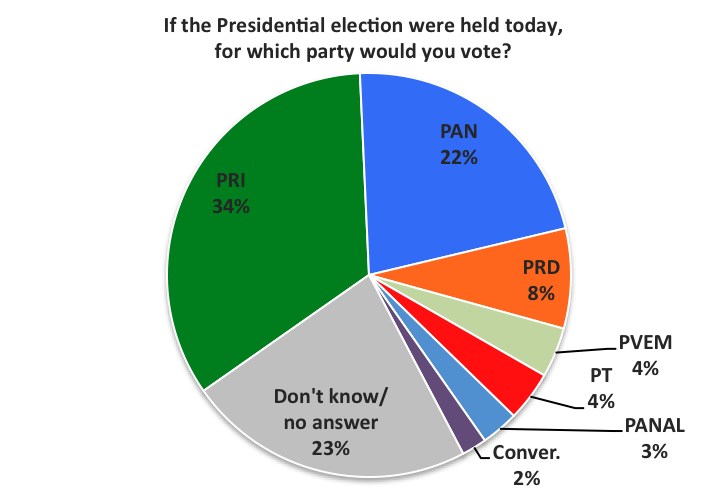 79% say they prefer a change of governing party (the PRI has never lost control of the state), and 41% say they would never vote for the PRI — compared to 14% and 8% rejecting Morena and the PAN, respectively. On the other hand, some 53% approve the performance of the outgoing PRI governor, Eruviel Ávila. 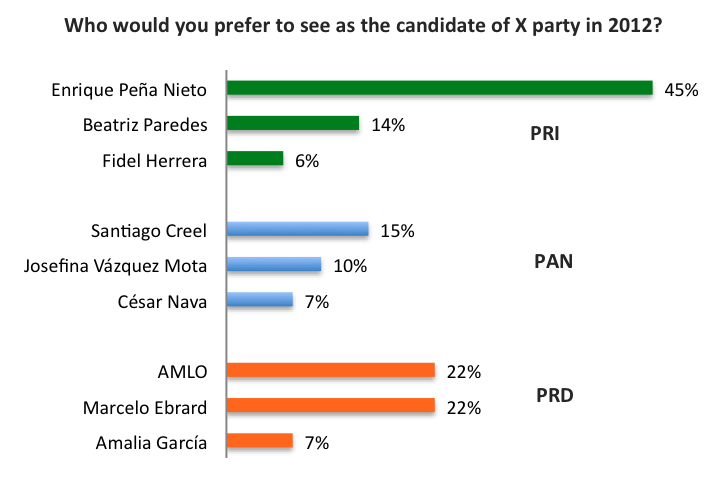 PRI candidate Del Mazo scores highest on the positive attribute of experience (31%) while Delfina Gómez of Morena scores highest on ‘closeness to the people’ (23%). Del Mazo also scores highest on the negative attributes of ‘steal more'(36%) and ‘govern for the powerful (40%).